Over the past 5 years of being a parent, I have learned a lot about what products is the best for my family. I have been through a lot of meals and have found that the one thing I can’t get enough of is sippy cups. 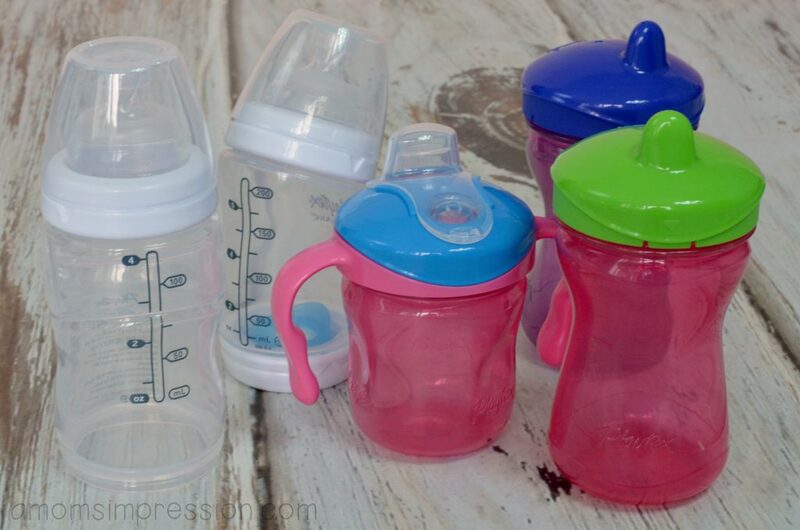 I have been through a bunch of them and have learned a thing or two about what makes a sippy cup a good sippy cup. For this mom, a cup needs to be easy to open/close, it needs to not leak, my child needs to be able to carry it around, and it needs to be easy to clean. That is why we have depended on Playtex cups since the beginning. We have used Playtex cups since my little guy was staring to drink for himself. 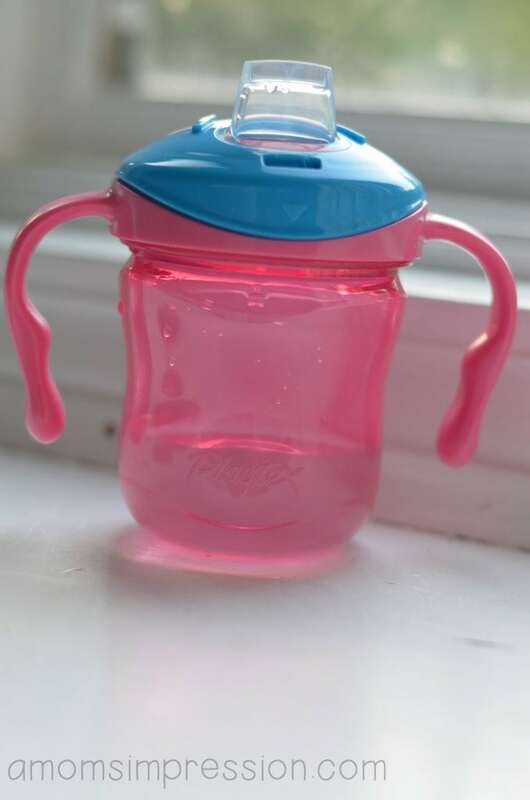 They have proven that they are spill proof which is the most important feature of a sippy cup. They are also durable. If my dog hadn’t gotten to some of Jonah’s, we would still be using them. As part of the Playtex Baby Mom Trust, I was sent some of their newest cups to try out with my family. They have made a few improvements and I couldn’t wait to try them out! With easier twisting and a louder audible clicking sound so you know it’s closed tight, Parents can be assured that their child’s cups are Playtex cups are leak-proof, spill-proof and break-proof. With any new cup, there was a little bit of a learning curve when I first put the lid on. Once I figure it out, I found the cups to be virtually leak-proof. The Playtex AnyTime cup has a contoured design will help your child grip the cup easier, while the various drinking features (including Spout, Straw and Spoutless) will best fit your child’s needs. I appreciate that their are options. Sometimes I like the straw cups, but most of the time we use the ones with the spouts. My daughter loves them and has been carrying water around in them all day long! While my kids have already transitioned from the bottle, if you have a little one who is, a soft spout is essential for success in weaning from the bottle. Playtex has a cup that is perfect for transitioning. The Playtex TrainingTime cup is available in a soft spout or straw cup and has removable handles to grow with your child. I love that you can remove the handles and your child has the same cup to use when she starts learning how to drink without one. The Twist ‘N Click feature is awesome! Once you hear the loud click noise, you know that your lid is on the cup tightly and is now spill-proof. The training cup also doesn’t have a separate valve inside to plug up the holes, instead the spout actually separates from the lid and is washable. I am a huge fan of the new cups and the new features. I would recommend them to parents of kids ages 1-5. Playtex cups are available at Walmart, Target, Babies “R” Us, Amazon, as well as grocery and drug channels. What are your favorite features of a sippy cup? 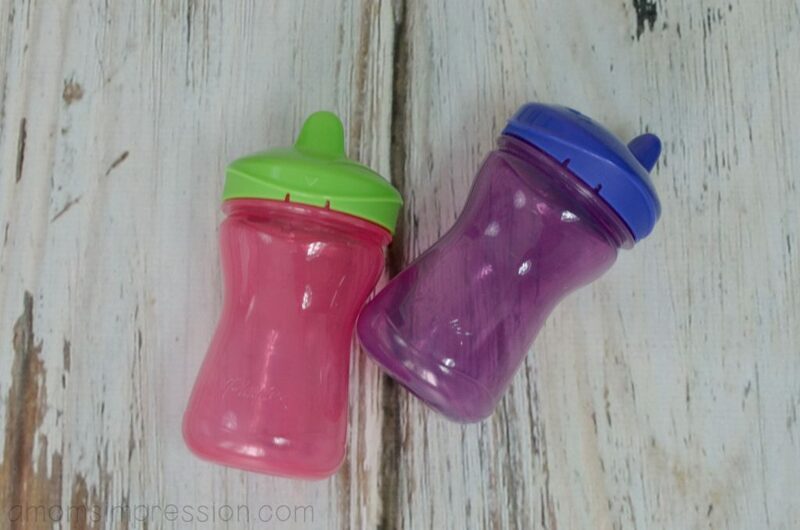 When buying sippy cups, they have to come apart easily and be easy to clean. I can’t stand it when there’s gunk built up in a funky straw. Gross! These cups are so neat, my son used to use these. Platex always makes great cups and products. These are very cool. Your daughter is adorable! Playtext makes such great products, I’m glad she’s toting it around to drink water. She is a doll!!! I really like the Playtex brand, they always have great quality products that are affordable. She is so cute! I love Playtex too! I have to say that hearing the click of the seal would be a huge bonus. I know I sometimes missed sealing them properly before! We used cups like these when the boys were little, and they really helped make the transition from bottle to glass easier. I like the Playtex AnyTime Cup. It’s easy for my grandson to handle. 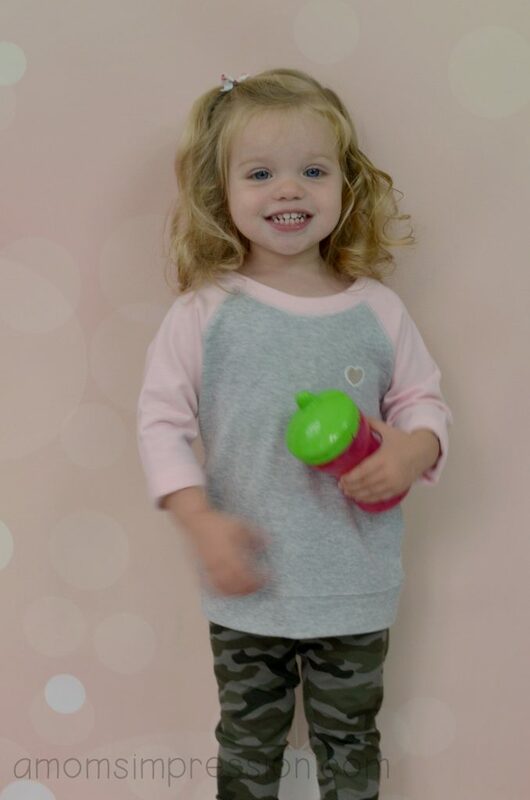 Your daughter is so stinkin’ cute and it looks like she’s really enjoying her sippy cup.